On Tuesday, March 17 at 6:30 p.m. will be another of our quality programs commemorating the 150th anniversary of the Civil War which is open to the public. The Wayne County Civil War Roundtable in collaboration with the Wayne County Libraries is hosting the program in the Wooster Library Conference Room. We are now approaching the end of the horrible four years of that war. This is a repeat performance from several years ago which was fascinating to all. 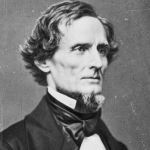 It is a “play” called: “Lincoln’s Last Great Debate – Abraham Lincoln and Jefferson Davis at Hampton Roads”. The play takes place on February 3, 1865 at a peace conference near the end of the Civil War. 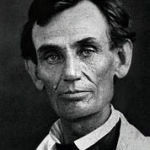 Both presidents attend to try to end the bloodshed but Lincoln insists there will be no end unless the South returns to the Union and returns without slavery. Davis cannot agree and the conference ends in failure – the war will continue until April. Our play pretends that the presidents are found alone at the bargaining table (on Lincoln’s ship – the Delta Queen) by a reporter, Frank Boyd from the Plain Dealer (portrayed by William Vodrey, Cleveland Magistrate and Civil War scholar). He respectfully asks if he can ask them questions. Both presidents agree, hoping to get their positions out to the public. In the course of answering the questions, the presidents, in effect, debate the causes of the war and the justification for their actions. John Fazio, lawyer and Civil War scholar, portrays Jefferson Davis and Mel Maurer of Westlake, a retired executive of the Dana Corporation and a student of history portrays Abraham Lincoln. They know what the questions will be, at least most of them, but they do not know for sure what each other will say. There is no written script making the play very spontaneous and real. They have done the play a number of times and it’s always different – exciting to do and to watch. 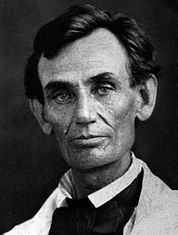 There was a peace conference held as described – Lincoln attended but not Davis. Their poetic license adds Davis.